hidden feelings not so hidden…. This entry was posted on Monday, January 28th, 2019 at 4:50 pm and is filed under Uncategorized. You can follow any responses to this entry through the RSS 2.0 feed. You can leave a response, or trackback from your own site. The tyranny of the comments field… Sitting there asking you to say more, and you’ve got nothing. 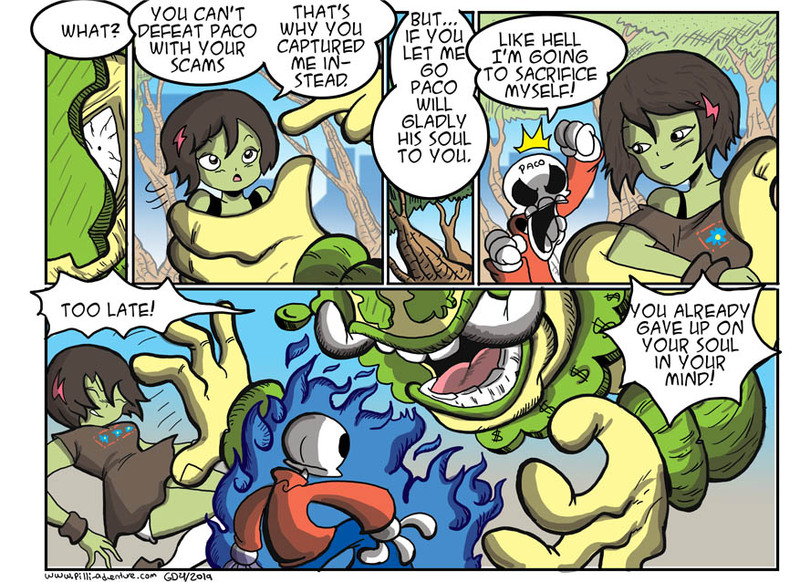 Wait isn’t picco’s soul not her’s to give…He might have just been scammed.